The UK phenomenon for pres-schoolers, Peppa Pig is making it's first ever U.S retail-wide national DVD launch! The celebration beings March 18th with this fun-filled, 80 minute DVD. The animated, preschool global sensation Peppa Pig will charm parents & little ones alike while offering adventurous & wholesome entertaiment for the entire family. 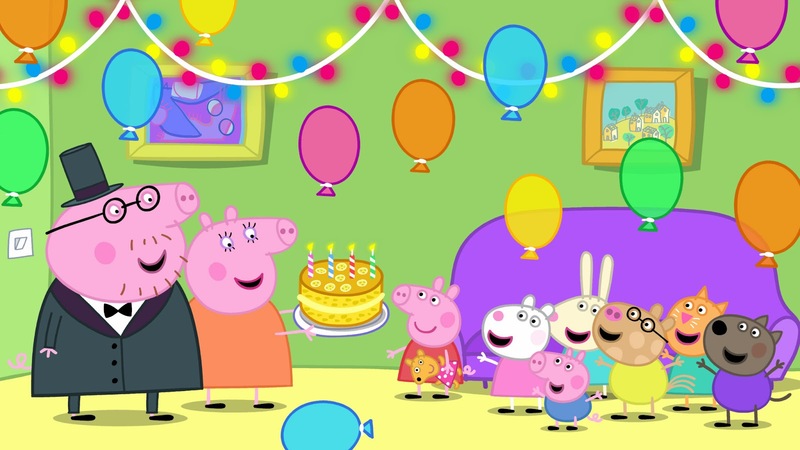 Peppa Pig: My Birthday Party DVD is recommended for ages 2-7 & features themes that kids can relate to and reinforces strong values such as family, friendship, trust and humor. DVD extras include; “Learn the Alphabet” and “Learn to Count”, be sure to check out the trailer below, Peppa Pig is too cute, my daughter adores the loveable piggy & I know your children will too! 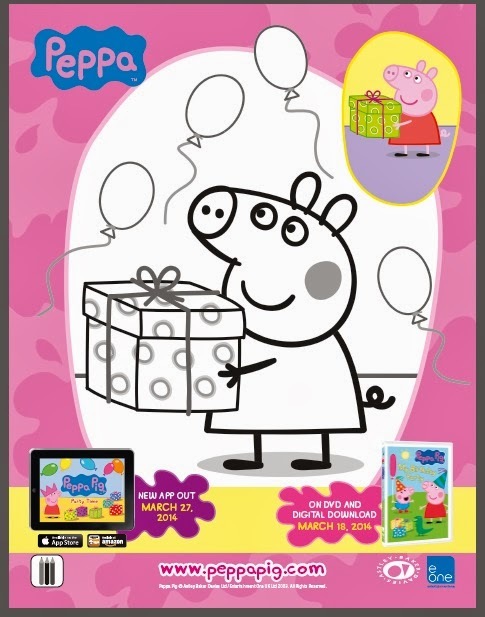 Buy it: Peppa Pig, My Birthday Party DVD will be available starting March 18th! 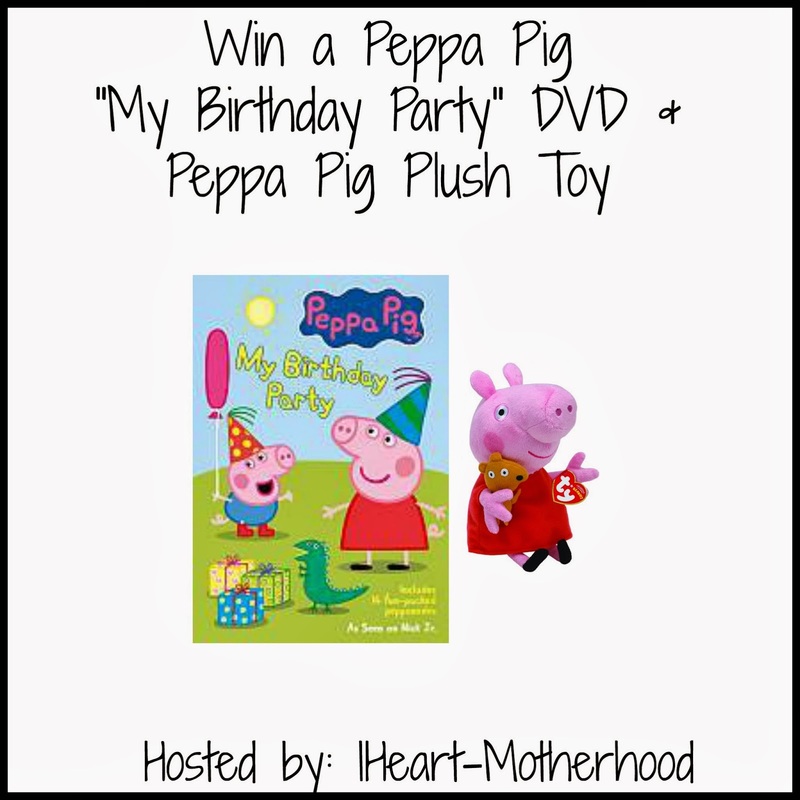 Win it: One lucky reader will win a Peppa Pig, My Birthday Party DVD & a Peppa Pig plush toy! My grandson's favorite character is Miss Rabbit! I think my kids have only seen this show a couple times, so I'm not sure who their favorite character is, probably Peppa! My kids have never seen this, but my daughter loves animals so I think she would love this. My son loves papa pig bc he snorts the loudest! My son's favorite is George because he loves dinosaurs too! Peppa and George are my kids favorite characters! My daughter loves Peppa the best! My son loves Pepa. I was actually searching for pepa pic DVDs when this review popped up on Facebook, my son has been walking around all day saying "pepa pig". My granddaughters favorite are Peppa and her brother George.